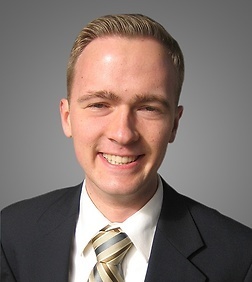 Matthew Halgren is an associate in the firm's San Diego office, where he specializes in appellate litigation and news media law. Matthew works on all aspects of the appellate process across many fields of law for clients in a host of industries. He has briefed a variety of matters in state and federal appellate courts and has orally argued several cases before the California Courts of Appeal. A First Amendment specialist, Matthew advises clients in the news media industry on matters related to the reporting process. He collaborates with journalists to obtain government records and to avoid the legal pitfalls that can accompany the work of a free press. He is knowledgeable about libel, copyright, reporter’s privilege, invasion of privacy, statutory and constitutional rights of access, and related matters. He has also litigated issues concerning government secrecy, including obtaining an order that, on First Amendment grounds, lifted a gag the FBI had imposed on an internet service provider by means of a national security letter. Prior to joining Sheppard Mullin, Matthew served as a law clerk to the Honorable Richard R. Clifton of the United States Court of Appeals for the Ninth Circuit and to the Honorable Marilyn L. Huff of the United States District Court for the Southern District of California. In law school, he served as Executive Editor of the Yale Journal on Regulation, worked as a member of the Yale Media Freedom and Information Access Clinic, and conducted extensive research on the Establishment and Free Exercise Clauses. Before law school, he worked in government relations on behalf of clients in the healthcare industry on issues surrounding the regulatory implementation of the Affordable Care Act. He also served in the office of Senate Majority Leader Harry Reid.